A super strength, DEET and PMD based fly repellent suitable for use on horses and cattle. 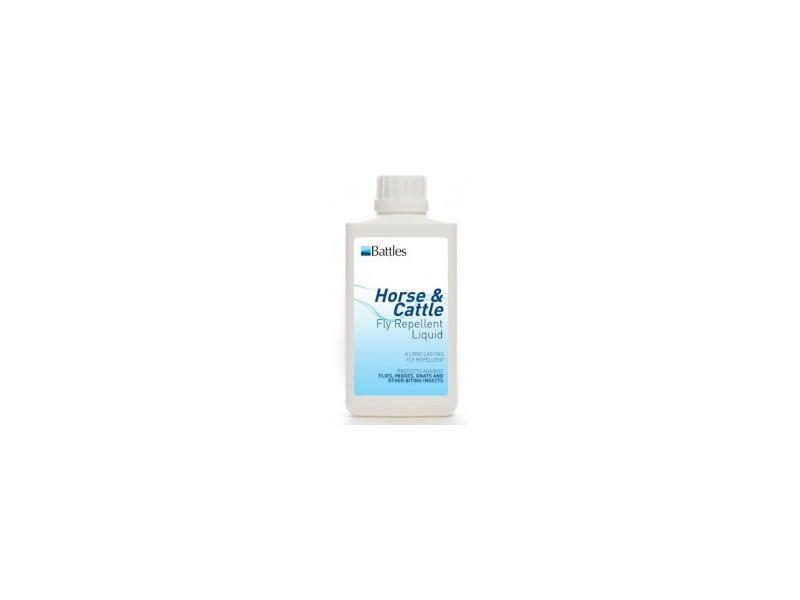 Highly potent formula, Battles Horse & Cattle Fly Repellent Liquid is gentle on the skin but provides durable protection. HSE 7835. Using a cloth or sponge, lightly apply to areas prone to fly irritation, including the face and muzzle but avoiding the eyes. Alternatively spray from a distance of 15cm (typically 5ml of fluid will cover 10cm x 15cm). Ensure that all areas of the coat prone to fly worry, especially the head, ears and tail are treated. Repeat as necessary. 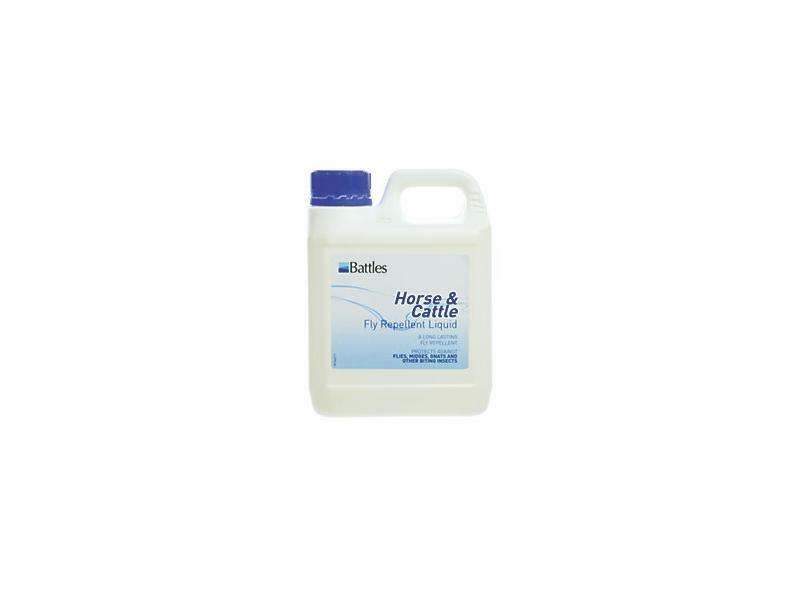 There are currently no questions for Battles Horse & Cattle Fly Repellent Liquid - be the first to ask one!